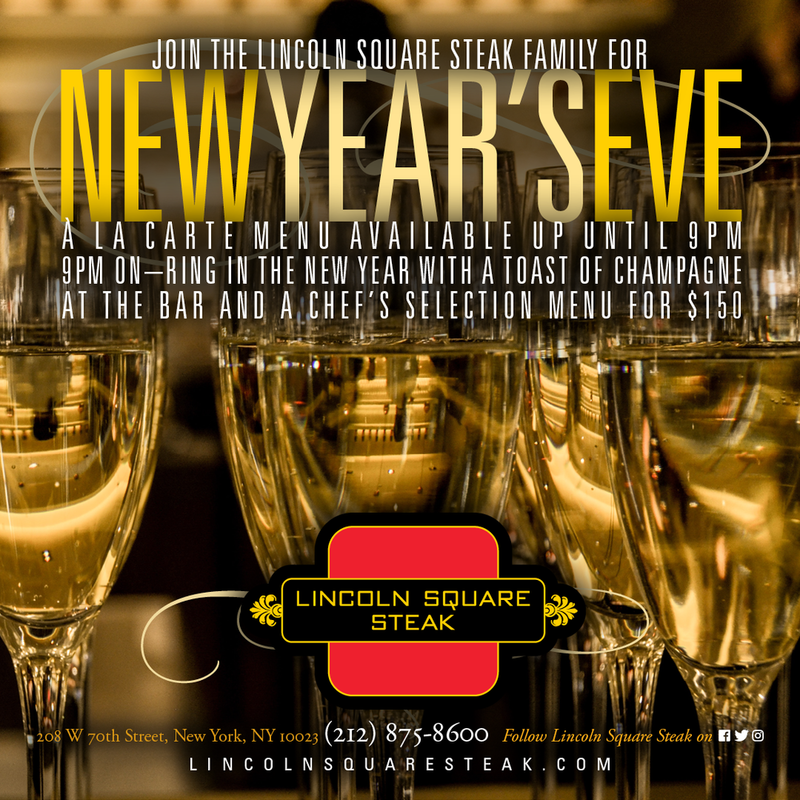 Join the Lincoln Square Steak family for the new year. Now taking reservations for Monday 12/31. Join us from 5:00pm with our a la carte menu, then from 9:00pm come and ring in 2019 with a toast of Champagne at the Bar and a Chef's Selection Menu for $150 per person.